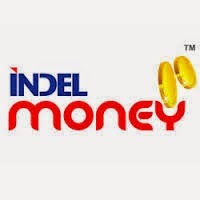 Indel Money, one of the leaders in Gold Loan, Business Loan, Money Transfer etc has opened six branches at Trivandrum at Balaramapuram, Ulloor, Mukkola, Panachamoodu, Kattakada, Neyyatinkara. A new branch will be opened soon at Varkala. Apart from Gold, Business Loans, Indel Money also offers services like BSNL Bill payment, Mobile Bill payment, Dish TV recharge, Domestic money transfer, air ticketing etc.